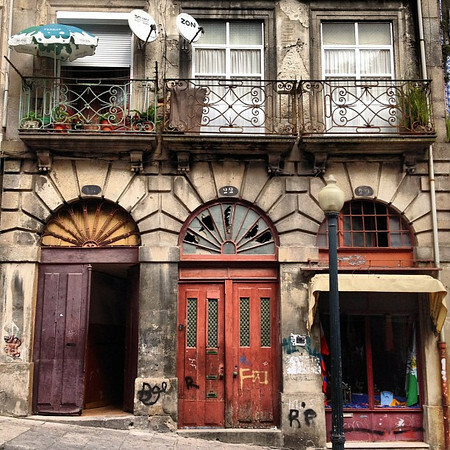 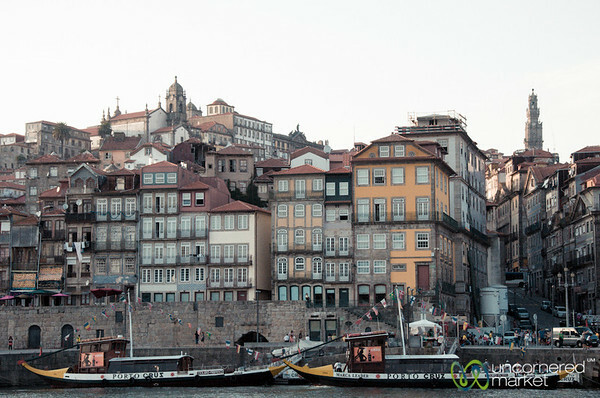 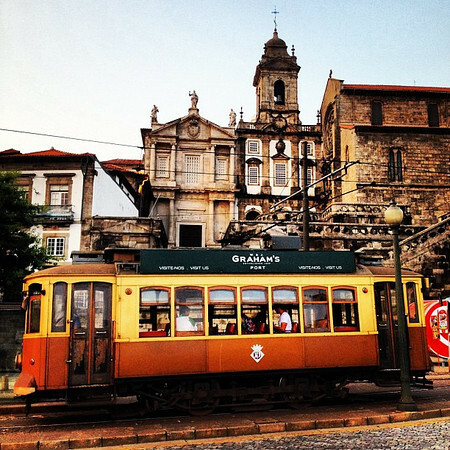 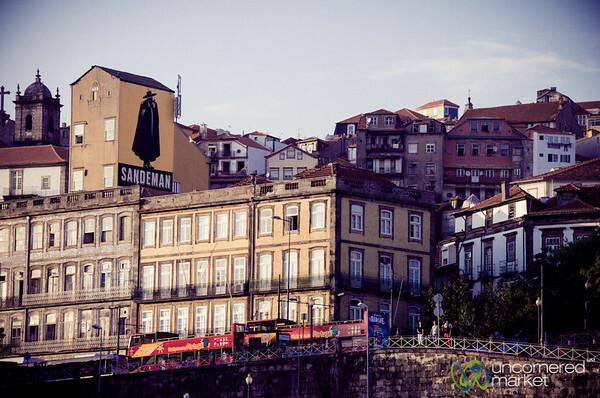 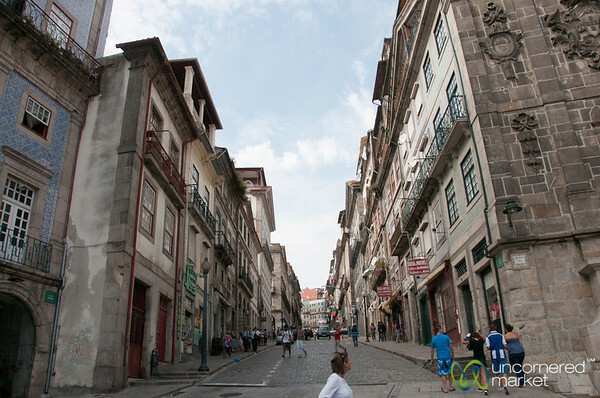 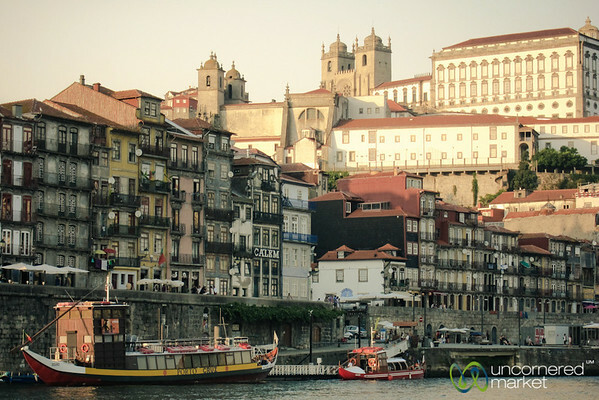 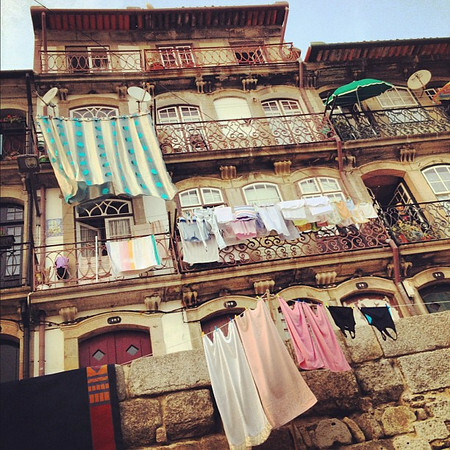 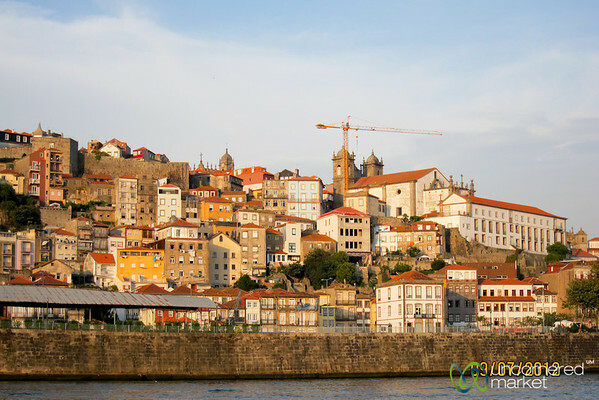 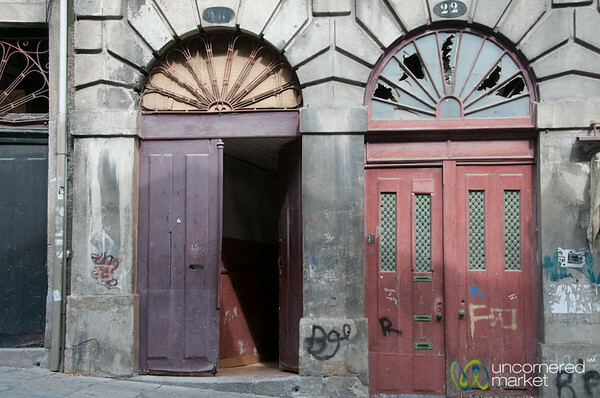 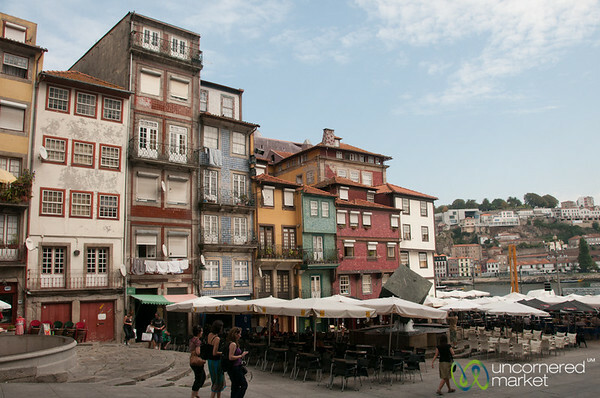 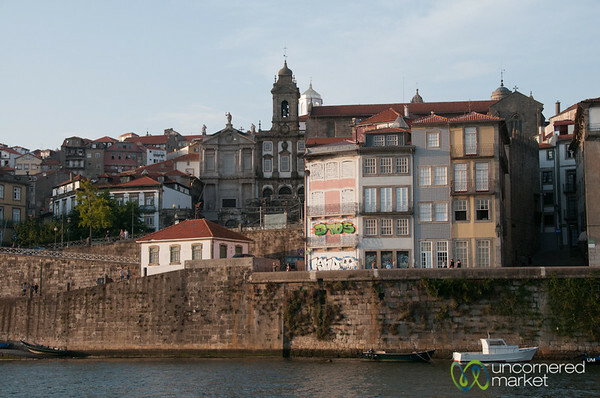 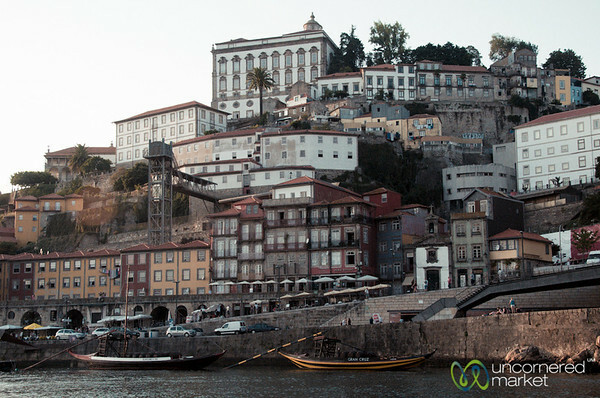 Enjoying the city of Porto in northern Portugal, from the colorful tile-covered buildings to the markets. 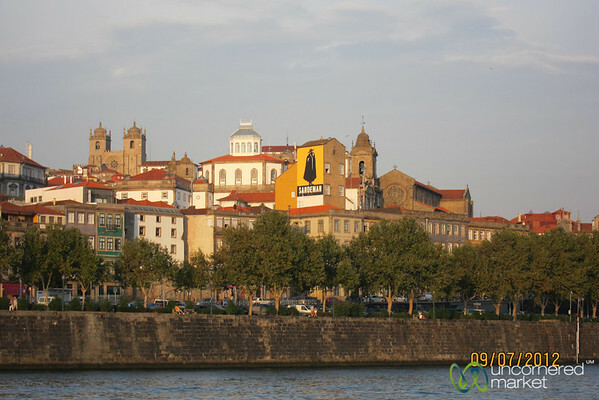 Porto as seen from Duoro River in Portugal. 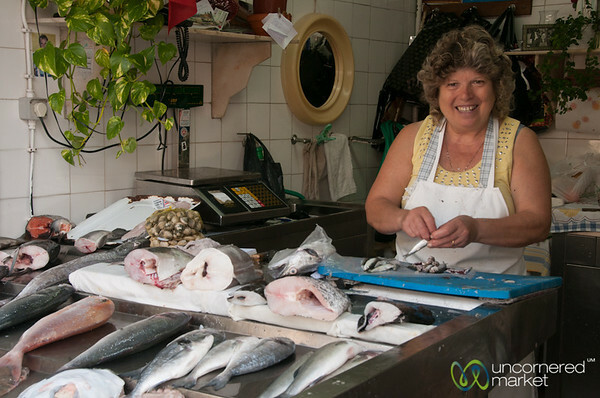 Fish vendor at Mercado Bolhão in Porto, Portugal. 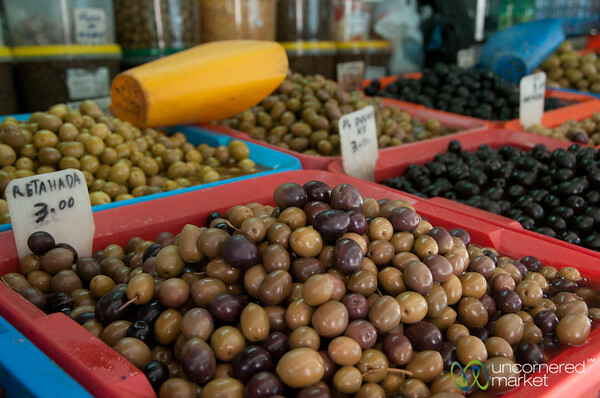 Olives at Mercado Bolhão in Porto, Portugal. 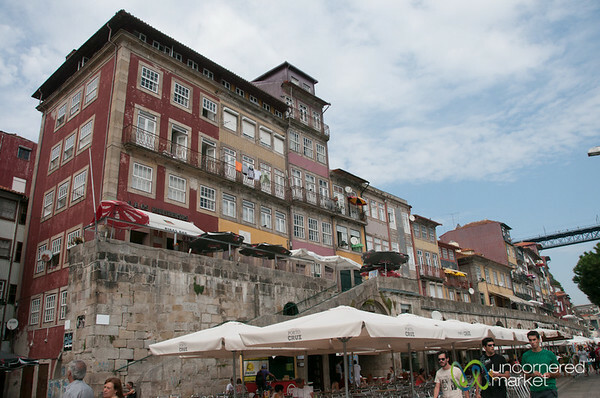 Porto harbor restaurants and bars. 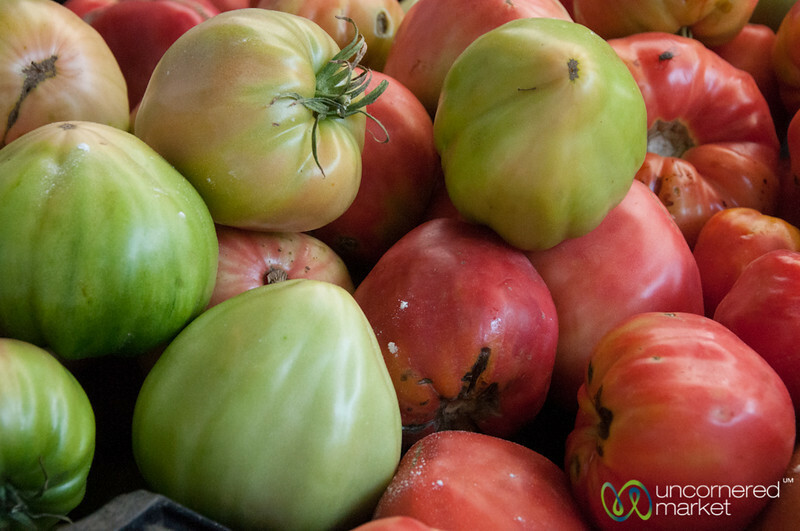 Coeur boeuf tomatoes at the Mercado Bolhão in Porto, Portugal. 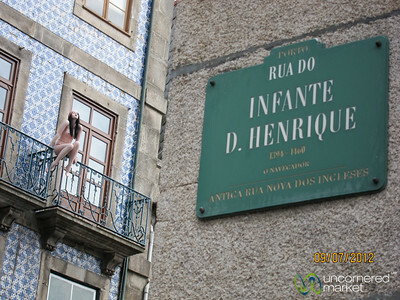 Mannequin on the balcony in Porto, Portugal. 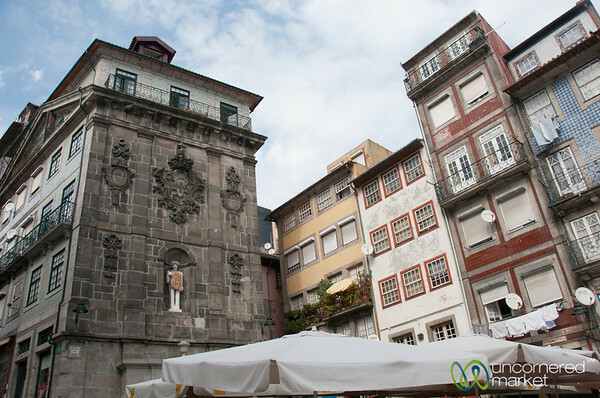 A big pile of Chourico, Portugese Sausage.